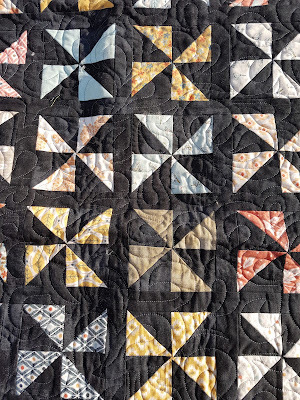 I might not have my (epic)Swoon finished but I did finish a little something with the random hsts from each block. 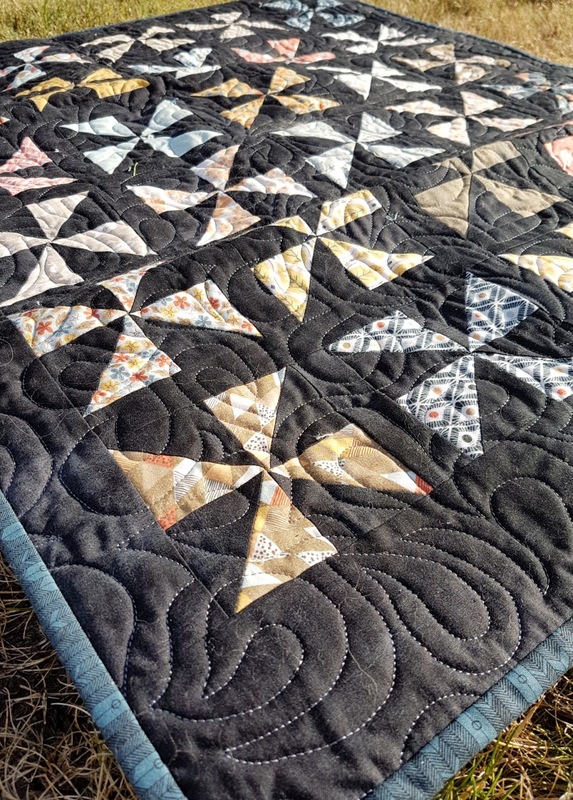 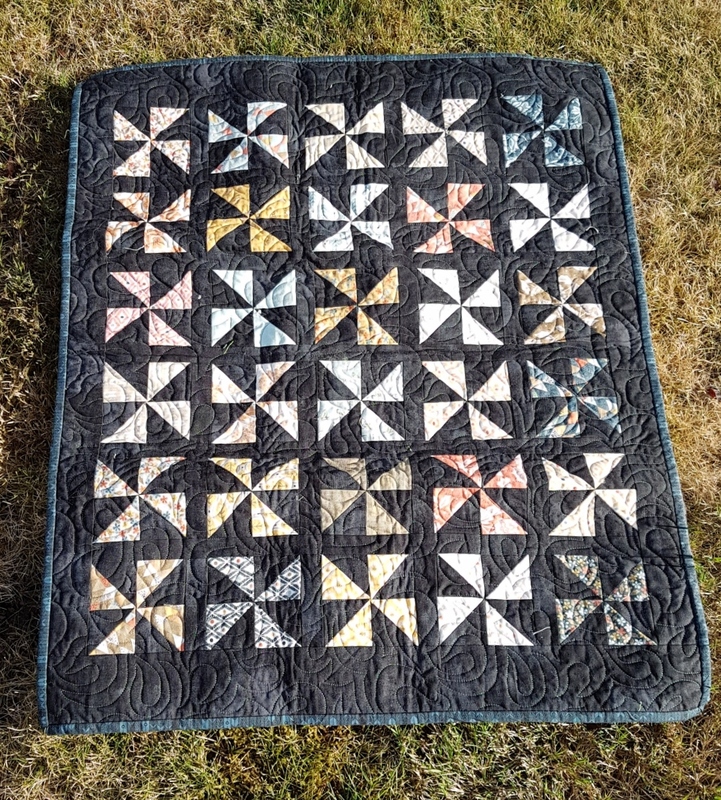 I'm actually glad to have gotten this done as I realized I did a quilt with light coloured blocks and a dark background. 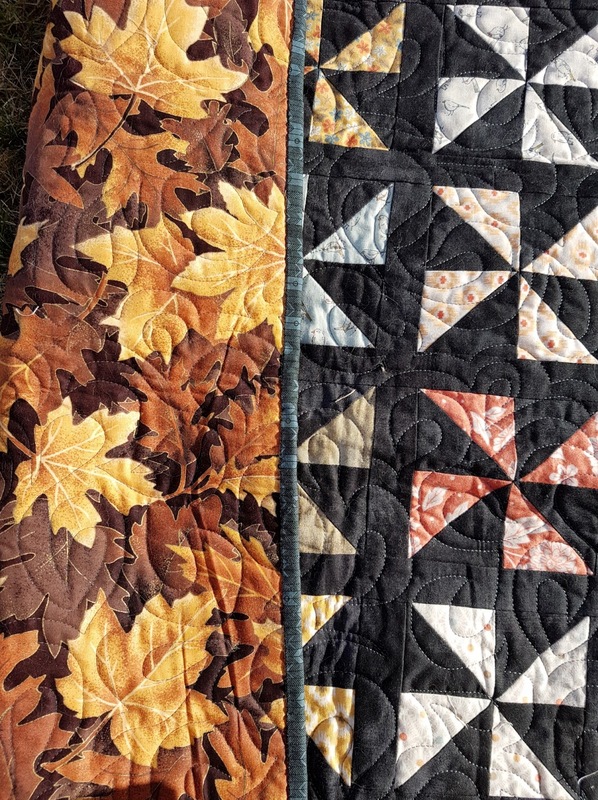 Always makes for a bit of a challenge picking thread for the quilting; do you go dark or light? 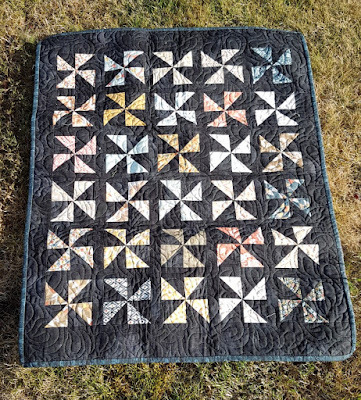 I had just enough of a fat quarter left for the binding. 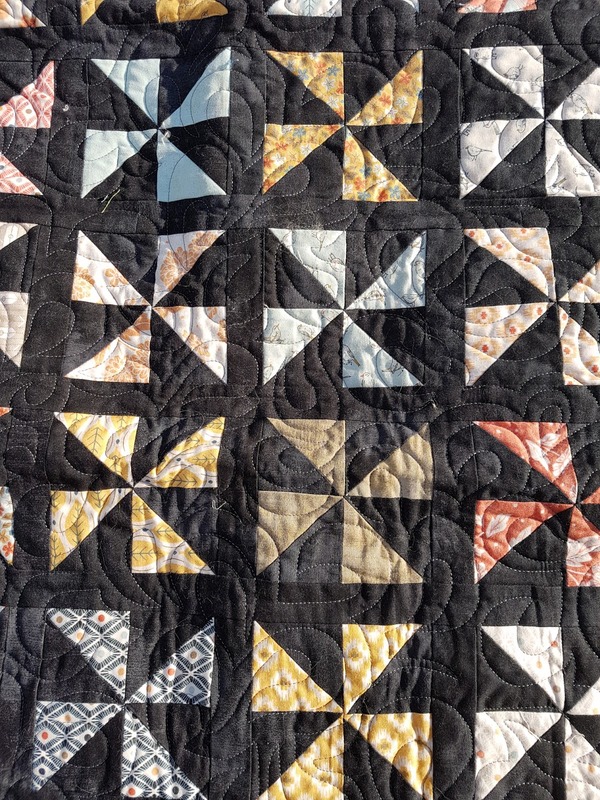 And enough of my favourite ugly quilt backing fabric lol. Maybe this week I can get my Swoon finally finished.